Bloemendaal beach is more than ready for the best banging Trance sounds out there! Tents are organized just in case wind and weather is around the corner. Also the inside area of Beachclub Fuel will be open for you. The weather forecast looks great! 20-22 degrees and a lot of sunshine, with no rain forecasted. 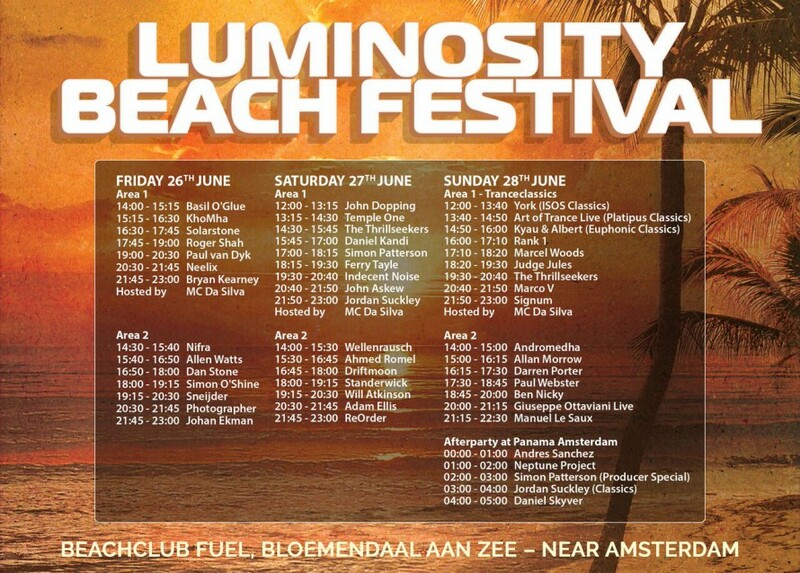 Perfect Luminosity Beach Festival weather! At the entrance of Beachclub Fuel all visitors will receive a wristband which allows everybody to go in and out of the festival area at any time. There will be plenty of lockers available. – Presale tickets SOLD OUT! : CHECK! – Extra chillout space: Huge beach: CHECK! – Extra food stand: CHECK! – Extra cocktail stand: CHECK! – Extra Icecream stand: CHECK! – A friendly and passionate crew to welcome and assist you: CHECK! – Full Guest list: CHECK! – Decoration and free give away: CHECK! – Towels for the out of control guests who will take a dive in the ocean: CHECK! – Sleeping pills for on your way back in the airplane: CHECK! 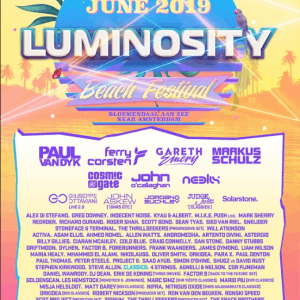 Please check facebook.com/LuminosityEvents for regular updates, full line up and all practical information needed in order to get you in the mood for Luminosity Beach Festival 2015. Presales of the LBF15 is sold out. There won’t be any tickets available at the door. If 3 days of partying isn’t enough for you, we have an after party planned on the night of Sunday to Monday from 00:00 – 05:00 o’clock. 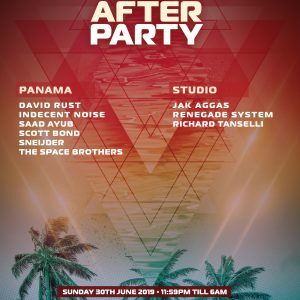 – Visitors with an after party ticket will have free transport to Club Panama in Amsterdam (ca 30 min travel). – The shuttle bus transport will be available between Bloemendaal beach and club Panama on Sunday June 28th from 23:00 – 23:30 o’clock. Please follow the directions to the pickup point. – Bus transport from Club Panama back to Zandvoort is available on Monday June 29th between 04:00 – 05:30 o’clock for €5,- to be paid at club Panama. Tickets purchased via Eventim.nl: login to your Eventim account to print your e-tickets. – Are we allowed to leave the festival site and go back in? Yes. All visitors will receive a wristband which allows access back to the event at any time. – Will there be lockers available? Yes. – Is ‘Center Parcs Zandvoort’ near? Yes it is possible to stay at Center Parcs Zandvoort. – Will there be a shuttle bus between the Amsterdam CS and the Festival site? Yes, the public transport provides a direct bus connection. – Will there be a bus between Zandvoort CS and the event? Yes there is public transport available to the event and back to the CS after the event. See you soon at the beach!